Providing colonoscopies and endoscopies to patients since 2001. 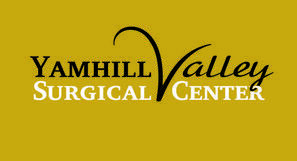 Our mission at Yamhill Valley Surgical Center is to provide the highest quality endoscopic and ophthalmology surgical services to improve the medical care of patients in our area. We provide endoscopic procedures and eye surgeries in a safe, modern environment. Our facility is designed to make your experience as comfortable as possible. We are committed to making these services available to everyone.